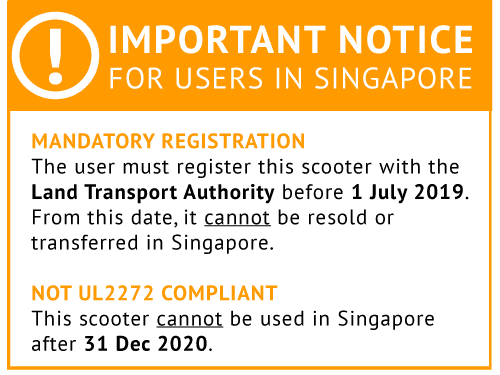 Our pre-owned electric scooters come with a 6 month limited warranty. The Zoom Air 2 electric scooter is a Lightweight Electric Scooter. Want to own our Zoom Air 2 but a little tight on budget? Fret not! We now have Pre-owned Zoom Air 2s that have been skillfully refurbished by our team of engineers to a "like-new" status. It comes at a cheaper price and even has a 6 months limited warranty. Digital Speedometer, Odo, Battery indicator included. The Zoom Air 2 is the most lightweight electric scooter available. Weighing in at only 10.7kg, it is incredibly portable and compact. The ZoomAir2 specially features retractable handles and foldable design that gives it an astonishingly slim profile, and can be folded or unfolded within 5 seconds. Due to its lightweight and slim profile, the Zoom Air 2 can easily be brought onto the MRT or Bus and even placed under your table at work!